Barbara Evans Devasted She Wasn’t Invited To Jenelle Evans & David Eason’s Wedding! After all Barbara Evans has done for her daughter Jenelle Evans – including raising Jenelle’s oldest child – Barbara was rewarded with the ultimate snub! 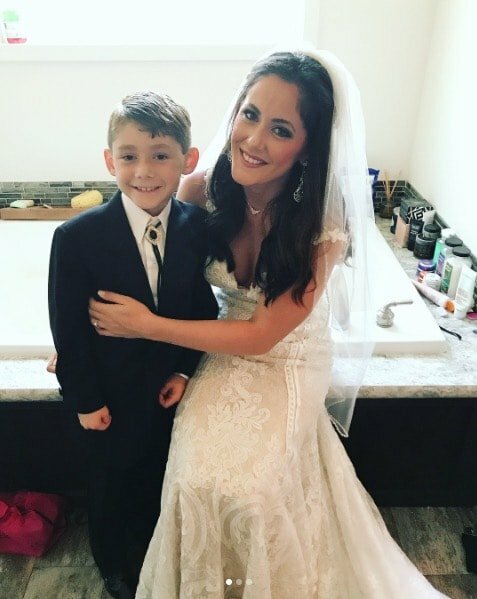 Jenelle vowed she wouldn’t invite her mom to her wedding to David Eason and – finally a promise Jenelle made good on, because, she didn’t! This is Jenelle Evans‘ third? fourth? 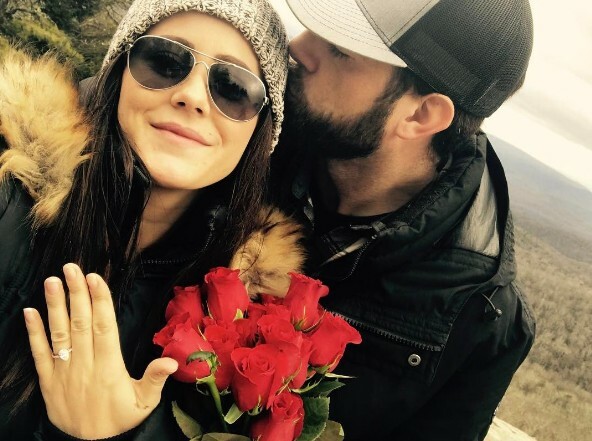 engagement but the Teen Mom 2 star is confident she’ll make it down the aisle to everlasting love with David Eason so long as the TV cameras are rolling forever and ever. Ain’t that sweet! Jenelle believes the secret to making their relationship work is because she and David do everything together. Except effective parenting. Like, he’s even helping her launch and produce her upcoming makeup line! Dishing out relationship advice, Jenelle opines: “You stay busy, and if you stay busy there’s nothing really to argue about.” Too bad we see you – we see you on the TV! I honestly can’t keep track of how many engagements Jenelle Evans has had, or how many weddings she’s planned, but she swears baby daddy no. 3, David Eason, is definitely the one. The others were just trials (and errors), right?! The Teen Mom 2 star is planning a fall wedding with a “backyard rustic theme,” for a “small, private” affair that’s both “sweet and Southern.” The couple got engaged in February after being together for a little over a year and having Ensley in January. Jenelle says wedding planning isn’t a stressor for them (is it ever for her?!) because she and Soul Mate Of The Month David “agree on a lot.” Meaning Jenelle does whatever David says! 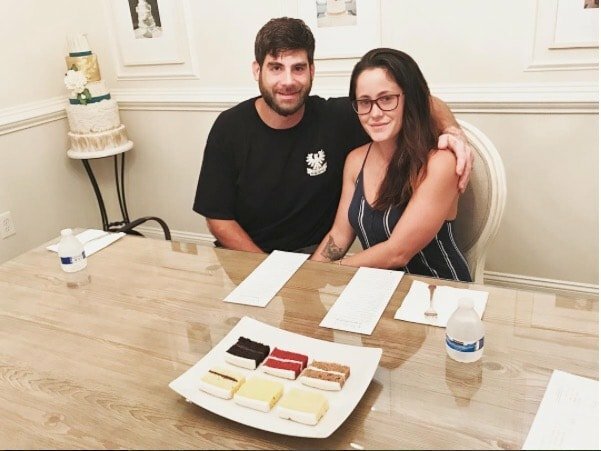 Jenelle Evans And Nathan Griffith Call Off Their Engagement – Again! All The Details And Tweets! So Jenelle Evans and Nathan Griffith seem to confuse twitter with PRIVACY. Or who knows maybe these two are trolling us with their constant online breakups, because it seems the Teen Mom 2 stars have called off their engagement – again! Not that anyone is surprised, but the two aired all their dirty laundry on twitter, where cheating accusations and THOT-iness, were cited as reasons for the latest destruction of Jenelle and Nathan. Oh so sad, I was really hoping for a gorgeous and classy Teen Mom wedding. Oh well, I guess I’ll have to rely on Farrah for that! So, settle in grab your coffee, this is gonna be a long one. What am I doing to myself first thing in the morning? I do love a good investigation! Jenelle Evans And Nathan Griffith Call Off Engagement; Erupt Into A Twitter Feud; Get Back Together! So, what’s a reality TV famewhore to do when ending their engagement to another reality TV famewhore? Tweet it! Yesterday in a twitter rant of epic proportions Nathan Griffith called off his engagement (of less than a month) to Jenelle Evans! Have no fear, however, because after erupting into a vitriolic twitter feud over what appeared to be Jenelle communicating with RECENT ex-husband Courtland Rogers, the Teen Mom 2 star and Nathan are back together. Because it’s not like Nathan is gonna give-up that MTV paycheck and get a real J-O-B! Jenelle Evans will become Mrs. Griffith! I mean, if things go a lot less dramatically than all her other relationships. Jenelle just announced on instagram that she is engaged to Nathan Griffith. Aaaaahhhh… the tragicomic love story of Jenelle and Nathan has played out on both Teen Mom 2 and Twitter – these are the disasters of our lives, like tweets through the jobless hours of the day. Nathan, a rage-a-holic, deadbeat dad, 3-time DUI-er with a criminal record and a drinking problem, and former underwear model shacked-up with Jenelle, her slew of legal problems, and her MTV cameras and immediately quit his job to start controlling her life. At that time Jenelle was still married to Courtland Rogers (their divorce is now finalized). PHOTOS & VIDEO: Jenelle Evans And Courtland Rogers Are Engaged! With Thanksgiving just two days away, I must give thanks for the technology that allows me a live stream of Jenelle Evans and Courtland Rogers watching Teen Mom 2. Amazing, right? Before last night's UStream event, Jenelle tweeted, "Courtland gave me a HUGE surprise today. I'm so in love and you will see the surprise on UStream!!" Last Wednesday, Jenelle sent out a twitpic that sparked engagement rumors. The backstory… Jenelle and Courtland went to the mall. While Jenelle ate her lunch and stressed that her missing-at-the-mall boyfriend was cheating on her, Courtland secretly bought several carats of diamonds. Needless to say, all cheating worries were forgotten when Courltand surprised Jenelle with the rings. Jenelle tweeted a picture of the rings, explaining that they were "just you're my girlfriend" rings. Less than a week later, there's a new ring and an official engagement. CLICK CONTINUE READING FOR PHOTOS AND VIDEO!